When do children usually lose their baby teeth? My child has autism. What should we expect at your office? 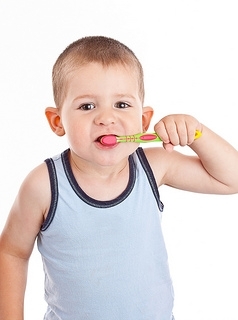 Our team at All Kids Dental would like to offer some tips regarding the sometimes dreaded task of brushing a toddler’s teeth. Different methods work best for different families and children. These practices need to be performed with kindness and care. Be gentle and make this time a happy learning time. Don’t forget to bring your child to our Evergreen office for regular dental checkups and cleanings. Dr. Brie and Dr. Bob can advise you on ways to implement portions of these tips in a way that may work bests for you and your child.